Guus Hiddink has hinted he would be open to a return to Chelsea by saying he would prefer to coach a club side rather than a national team. Turkey boss Hiddink, who had a successful five-month stint in charge of the Blues two years ago, is one of the favourites to take over from Carlo Ancelotti who was sacked earlier this month. The Dutchman, whose Turkey side face Belgium in a crucial Euro 2012 qualifier on Friday, said he felt energetic at the age of 65 and had been very happy in the past when he coached national and club sides. Hiddink has previously trained Australia and PSV at the same time, as well as Russia and Chelsea. Turkey are third in Group A, one point behind Belgium and six points behind leaders Germany, and a loss on Friday would jeopardise their chances of competing at Euro 2012. 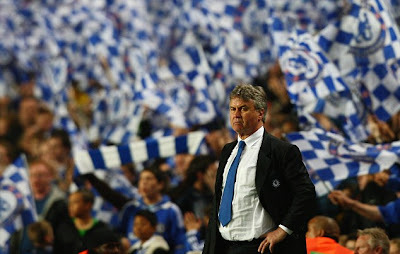 Turkish media reports have said Hiddink could be sacked if the team fail to qualify for the finals.